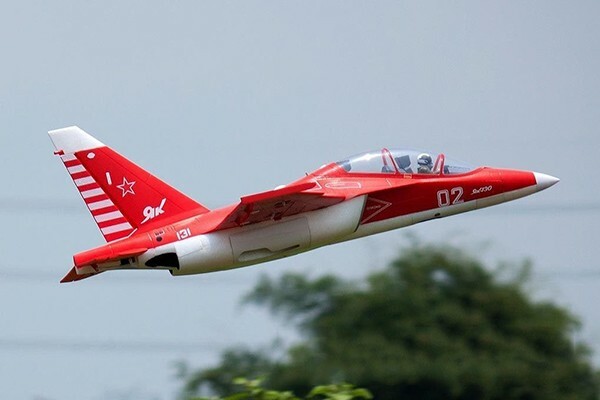 The Yakovlev Yak-130 is a subsonic two-seat advanced jet trainer or lead-in fighter trainer originally developed by Yakovlev and Aermacchi. 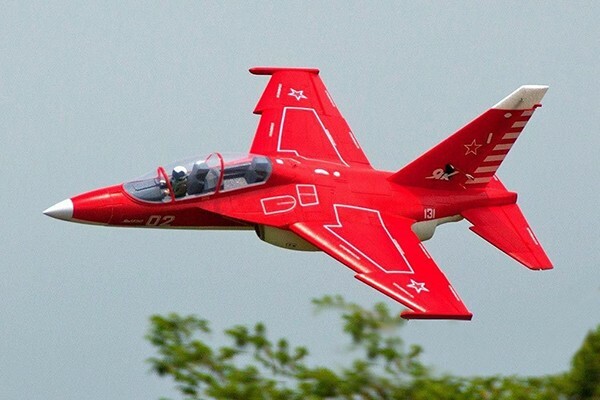 It has been named as a potential light attack aircraft. 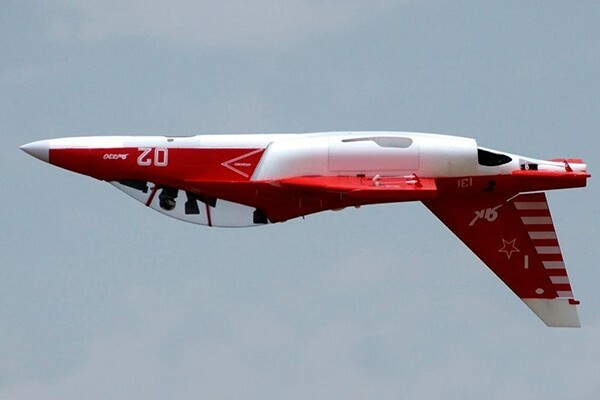 Development of the plane began in 1991 and the maiden flight was conducted on 25 April 1996. 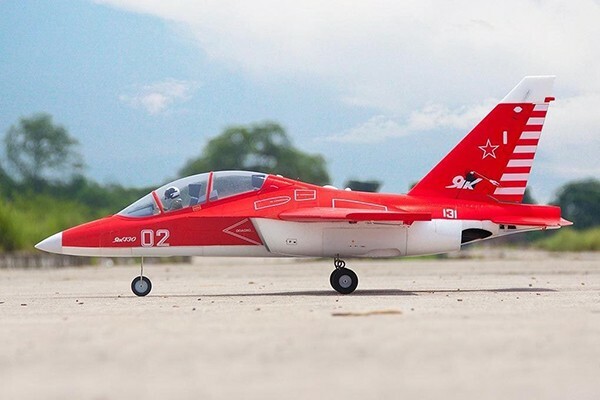 In 2002, it won a Russian government tender for training aircraft and in 2009 the aircraft entered service with the Russian Air Force. 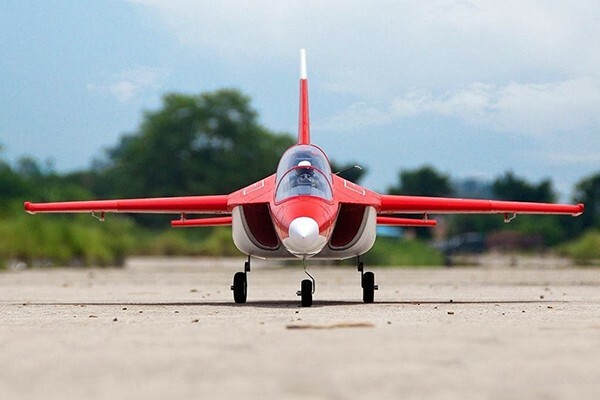 As an advanced training aircraft, the Yak-130 is able to replicate the characteristics of several 4+ generation fighters as well as the fifth-generation Sukhoi PAK FA. It can also perform light-attack and reconnaissance duties, carrying a combat load of 3,000 kg. 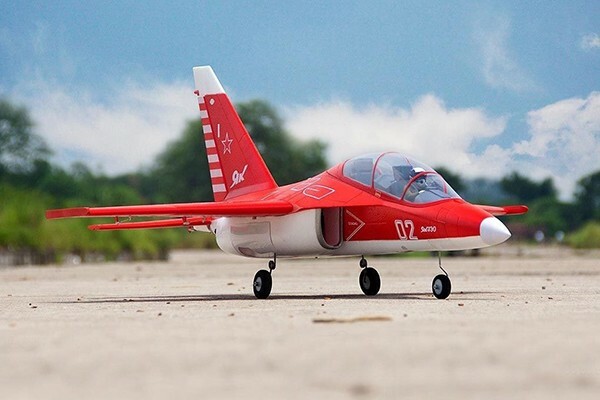 The latest in Freewing’s exciting 70mm EDF 6s jet series is the 70mm EDF Yak-130. Whether flying up high or set on the ground, this model looks fantastic. 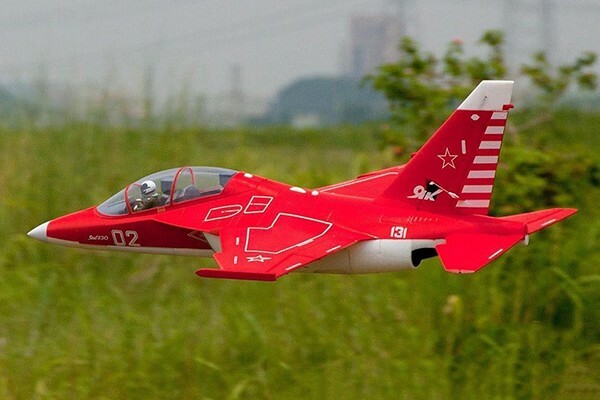 The red color scheme makes it easier to spot in the sky which is one advantage over the grey color scheme. 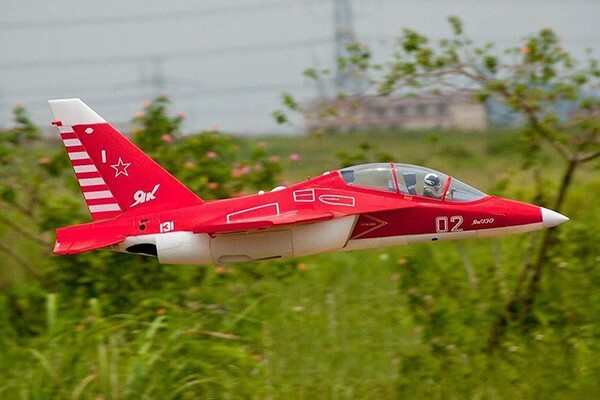 A detailed canopy and high scale fidelity profile captures the unique lines of this modern jet trainer, and over 50 waterslide decals are carefully applied by hand to complete the look. 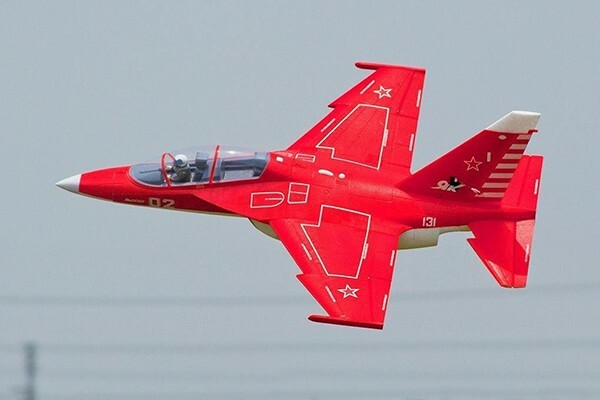 Set aside its appealing looks, the Yak-130 has outstanding flight performance. 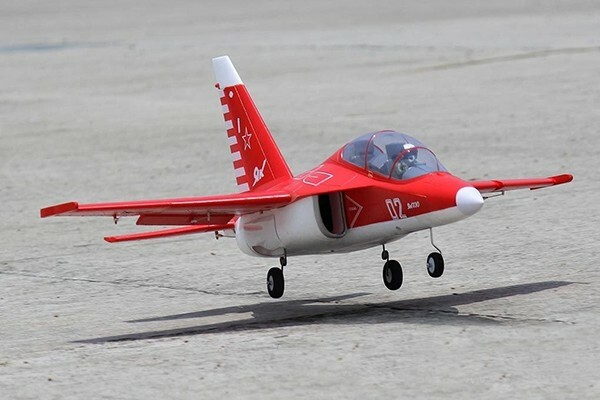 Pre-installed flaps shorten takeoff roll on pavement to a brief 75 feet, and with full flaps the model can land to a stop in less than 100 feet with a slight headwind. The battery bay is spacious to accommodate CG with a 6s 3000-4000mAh liPo. For pilots interested in installing a 70mm 4s power system, a 4s 4000mAh lipo is ideal for a lightweight setup. The landing gear is durable, utilizing metal trunions and steel coiled struts on the mains for dependable operation on pavement, geomat, or very short and evenly cut grass. The landing gear can also be removed and the aircraft can be hand tossed and belly landed.